It has been a long-held belief that any saturated fat is considered bad for you. This belief has been held by the medical community for so long now that it is even held to this day by some professionals. This myth has been thoroughly debunked by researched performed on the subject. Saturated fats tend to be solid at room temperature and can be found in animal products as well. Coconut oil at room temperature is a semi-solid and because of this for many years was thought to be bad for humans to consume. However, all research recently performed has shown the exact opposite. Coconut oil is extremely good for you in many ways. In previous blog posts, I have discussed omega-3’s and omega-6’s before. You can click here to see that post. Well, Coconut oil is primarily an Omega-9, although it has some others as well. It is very good for cooking as it is extremely stable in high heat. Coconut oil is also very good for brain health and this has been see through many research studies performed on those with dementia such as Alzheimer’s. There are some benefits to taking coconut oil as a supplement. This is because of the long chain of fatty acid found in coconut oil that can be used by the body as an alternative fuel source when trying to implement a diet that is low on carbohydrates. Coconut oil is very inexpensive can be found at Walmart in organic forms. I would recommend that you pick up some coconut oil and use it in your cooking. It is an excellent alternative to vegetable oil that you would find in most people’s kitchen cabinet. Most vegetable oils contain omega-6’s which are quite bad for you. 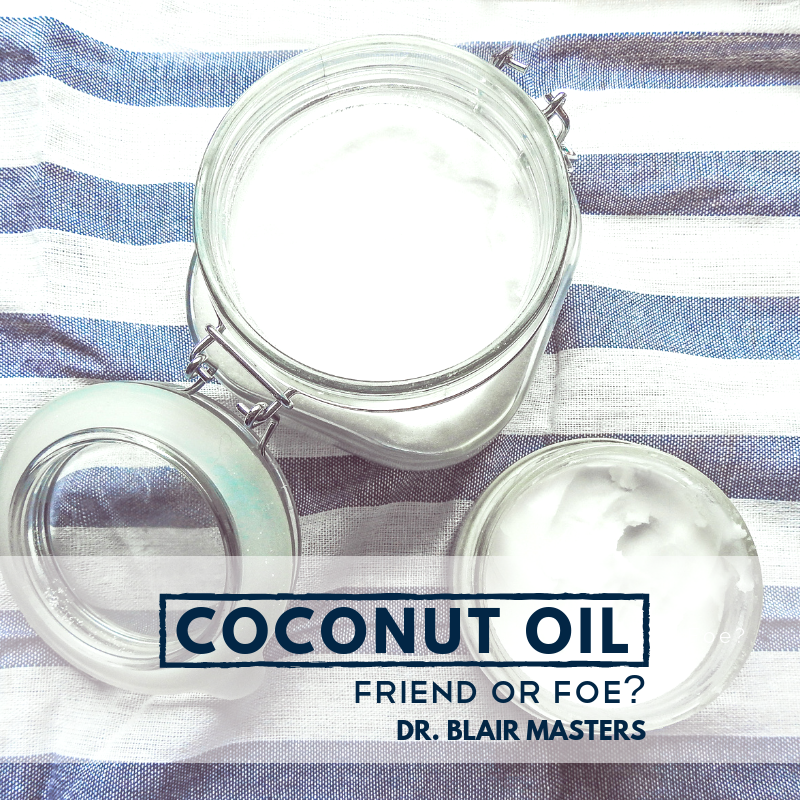 So, pick up some coconut oil today and start using this health substitute in your household cooking. Need more help balancing nutrition within your household? Call at (479) 443-0800 or click here to schedule a FREE nutritional consultation.